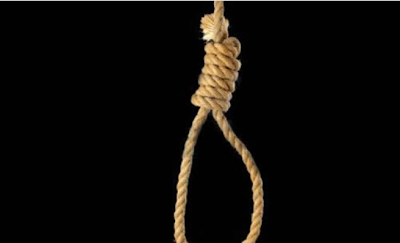 The Akwa Ibom State High Court, sitting in Eket, has sentenced one Okon Ebenge to death by hanging for killing his neighbour, Eteyen Ekong, over N80,000. The presiding judge, Justice Nsemeke Daniel, on Wednesday passed the death sentence on Ebenge from Akpautong in the Esit Eket Local Government Area for conspiring with his son, Akaninyene, to kill his 37-year-old neighbour when he demanded the refund of N80,000. It was learnt that the convict did not construct the container and refused to refund the money to Ebenge, prompting the deceased to go to Ebengevs house for his money on January 10, 2016, where he was beaten to death by the convict and his son, who escaped. A medical report was said to have been admitted as exhibit before the court. The report was said to have shown that father and son used machete and a pinch bar to hit the deceased, which caused fractured skull, leading to damage to his brain tissue. A neighbor of the deceased, Abednego Owo, who was the third prosecution witness, told the court that he tried to rescue the victim, but was prevented by the convict and his son who threatened to kill anyone who entered their house. He sentenced Ebenge to death for murder on count one, while on count two, he was sentenced to 14 years’ imprisonment. 0 Response to "Court Sentences Man To Death For Killing Neighbour"